With over 100 years of service, Columbia Country Club is the premiere, Member owned, full-service private country club in the Midlands area of South Carolina. The Club provides 27 holes of championship golf; complete dining and clubhouse facilities, a large ballroom, an Olympic-size pool, 2 tennis courts and full amenities to our more than 500 Members and their guests. Ellis Maples designed the golf course. 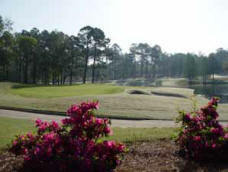 It is rated among the top 25 in the state of South Carolina – an impressive ranking considering the world-class reputation of many courses along the coast. Columbia Country Club hosted the 2004 South Carolina State Amateur tournament, and serves as a playing site for numerous local and regional tournaments. Men's and women's locker rooms, each with showers, televisions, card tables, etc. Fitness room. Bar and grill area. Member Dining room. Banquet and event rooms. Large screened-in patio. Olympic-size pool. Two lighted tennis courts for night play. Two large parking areas.